162 games weren’t enough to determine a winner in neither the NL West nor the NL Central. The Milwaukee Brewers went 9-1 over their final 10 games — which included winning seven in-a-row to end the year with a mark of 95-67. The Chicago Cubs finished 6-4 in this span. By squandering a three-game advantage over the Brewers, the two teams finished tied in the final standings. Over in the NL West, the Los Angeles Dodgers and Colorado Rockies completed the 162-game regular season at 91-71. 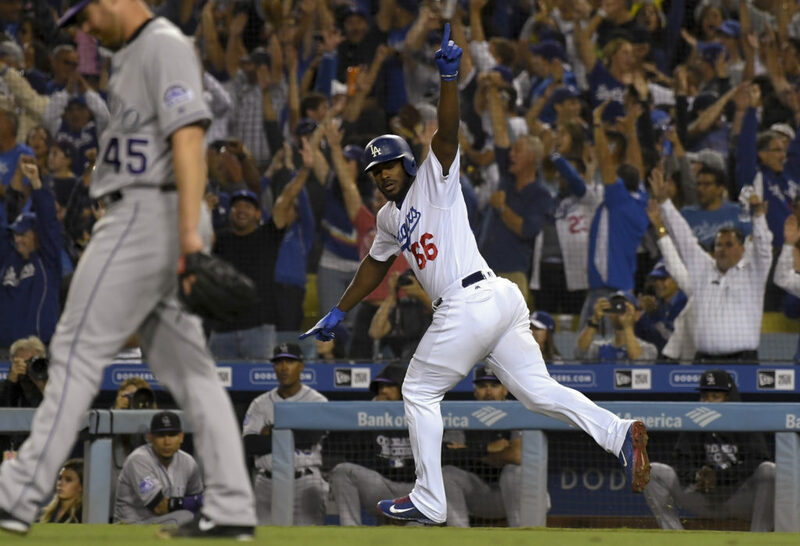 After the Dodgers completed a three-game sweep of the Rockies on September 19, Colorado appeared to be dead in the water. Instead, the Rockies rattled off nine victories in their final 10 games. All four teams have earned a spot in the postseason. However, their matchups are undetermined. As a result of ties atop each division, the Cubs and Dodgers will host the Brewers and Rockies (respectively) in a decisive 163rd game. Monday’s results will have massive implications on the rest of the National League playoffs. In a battle between the veteran-laden Cubs and upstart Brewers, the two clubs will be playing for the No. 1 overall seed in the NL. The winner of today’s game will clinch home-field advantage throughout the NL postseason. The loser will play host to the NL West runner-up on Tuesday in a one-game playoff. 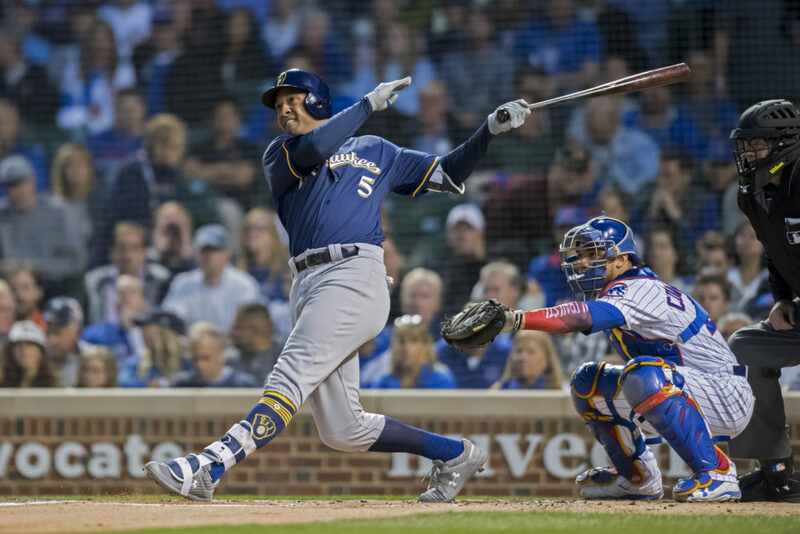 Jhoulys Chacin gets the start for the Brewers on regular rest, while the Cubs send Jose Quintana to the mound in search of his third quality start against Milwaukee since the beginning of September. Chacin has fared well against the Cubs this season — including a 1-0 shutout over the Cubbies in June. While both squads will enjoy home-field advantage regardless of today’s result, the Cubs are in a far better spot should they lose. If Milwaukee is victorious, the Cubs have Jon Lester lined up to pitch in Tuesday’s Wild Card Game. A Cubs victory would most likely result in the Brewers resorting to a bullpen game on Tuesday. With Lester ready to pitch a potential WC Game tomorrow, the Cubs would be able to throw out Kyle Hendricks — their best pitcher as of late — to begin a potential Division Series against Milwaukee. If Milwaukee is forced to expend their bullpen in a wildcard game on Tuesday, the team would be at a severe disadvantage heading into the NLDS. Not only would Chacin not be available until Game 3 at the earliest, but their star-studded bullpen would be incredibly taxed heading into the series. Both teams would love to come away with a victory on Monday, but a win is of far greater importance to Milwaukee’s playoff hopes. The Rockies head to Los Angeles as one of the hottest teams in baseball. Colorado is hoping to win its first NL West title in franchise history. After a horrible start to the season, the Dodgers can secure a sixth-consecutive NL West title with a win over Colorado. The winner of Monday afternoon’s game will claim the No. 2 seed in the NL — and thus will host the Atlanta Braves in the NLDS. The loser will have to fly to the Midwest and play the loser of the Cubs-Brewers game in the wildcard game. Both teams will send their young studs to the mound for the pivotal tie-breaker. The Rockies will rely on German Marquez — a flame-throwing right-hander with two devastating off-speed pitches. Los Angeles has their own version of Marquez — Walker Buehler — starting the most important game of the season. Like Marquez, Buehler’s fastball reaches the mid-to-upper-90s. He also features two above-average wipeout pitches. The loser of this game will have a potential schedule that plays out like this: Monday tiebreaker in Los Angeles, Tuesday wildcard game in Milwaukee/Chicago, Thursday NLDS Game 1 in Milwaukee/Chicago. A Colorado loss would put the team at a huge disadvantage. Kyle Freeland (17-7, 2.85 ERA) would be available Tuesday (albeit on three days’ rest). The alternative would be to go with a bullpen game in hopes of having Freeland ready to pitch Game 1 of the NLDS (should the Rockies advance). If the Dodgers lose, they will be in a very similar position. Their top-three pitchers (Clayton Kershaw, Rich Hill, Buehler) would all be unavailable on Tuesday. They could go with All-Star Ross Stripling — but he has struggled mightily since the All-Star game. Hyun-Jin Ryu is another option, though he would be pitching on short rest. Should they win today, Kershaw would be ready to start Game 1 at home against the Braves on Thursday. The winner of the NL West will be in a very good spot. Not only do they avoid flying to the Midwest for a WC Game against the NL’s two best teams (record-wise), but the victor will enjoy home-field advantage over Atlanta.